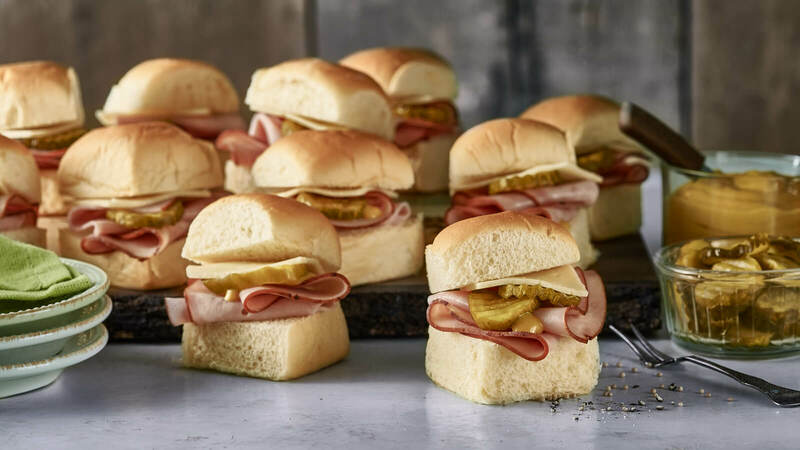 Savory sliders filled with Black Forest ham, domestic Swiss and dill pickle chips, topped with yellow mustard and served on Hawaiian rolls. Reheating Instructions: Remove sliders from tray and completely cover in aluminum foil. place in a 350°F preheated oven and bake for 8 to 10 minutes.